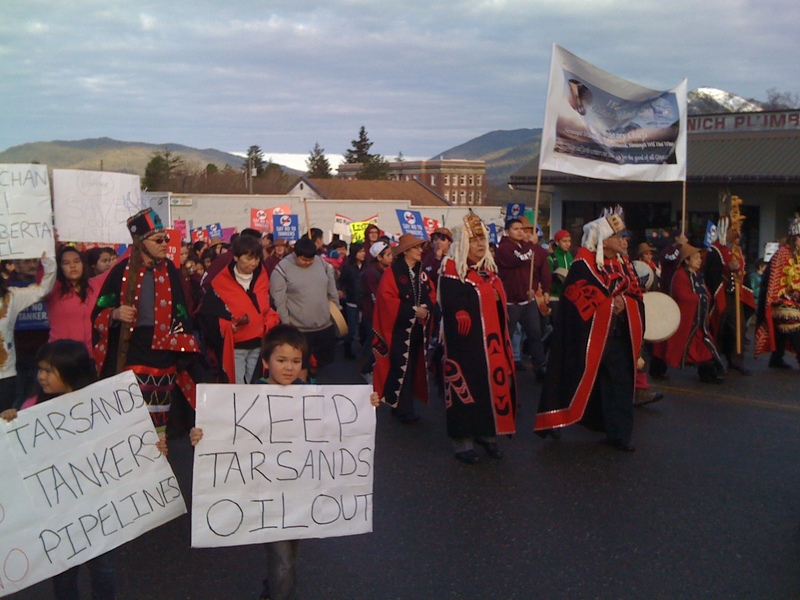 Last week, the Center for Media & Democracy posted an article showing that four states have recently introduced legislation to support the Keystone tar sands pipeline project coming from Canada. Michigan, along with Minnesota, Missouri and Mississippi all have introduced legislation to support the Keystone XL Pipeline and are using language very similar to the American Legislative Exchange Council (ALEC) and TransCanada, the two entities that have been pushing the pipeline project from its inception. You can read the actual language in the Michigan bill, but some of the points they make are worth discussing here. The legislation language operates on the assumption that “we” need to continue to consume high levels of fossil fuels, thus the Keystone pipeline is a necessity. The reality is that if “we” continue to consume high levels fossil fuels we will move past of level of climate change that will be catastrophic for the planet. This is what the Intergovernmental Panel on Climate Change has been saying for years. What exactly do they mean by countries that do not share American values? In addition, the claim that tar sands oil is conflict-free is just not true. Native communities in Canada have been directly impacted by the tar sands mining and have been fighting the extraction and pipeline construction from the beginning. This is the main reason for the rise of the Idle No More campaign. The Michigan legislation goes on to say, “The Keystone XL pipeline project has been subject to the most thorough public consultation process of any proposed U.S. pipeline.” This is a joke. How has the government engaged the public on this issue? Any public involvement has been initiated by the public and primarily in opposition to the Keystone Pipeline. Lastly, the proposed Michigan legislation says that, “Pipelines are the safest method for the transportation of petroleum products.” This is absurd, since Enbridge alone has had at least 806 instances of oil spills, leaks and contamination, as we noted last July. This information has been well documented in a Polaris Institute report that would scare anyone when hearing the name Enbridge. This proposed legislation is indeed a reaction to public opposition to the Keystone XL Pipeline that has been happening all across the US & Canada. 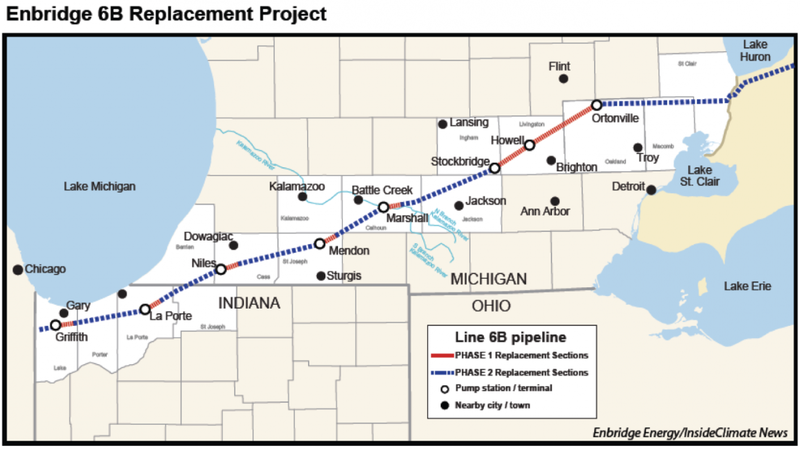 However, the reality is that much of the Enbridge tar sands pipeline in Michigan is already constructed, with area in southeast Michigan still to be completed, as is evidenced by this map. Enbridge is moving forward on this despite public opposition and the current climate crisis, because they are motivated by profits and not by justice. Where are these tar/oil sands coming from? All I see is Alberta Canada. It can’t be coming from there.